It has been a difficult 40 days for the Filipino people and the families of all those who died in the Mamasapano incident. I could imagine it has been a difficult period for you as well. I heard your radio interview today as you announced that the Board of Inquiry report will be out soon and that you also sought answers to the questions on everyone’s mind. I also saw your TV interview and how you said that despite being kept in the dark about Mamasapano, you think it was still the President’s call and that you seemed to accept that. But you said it, seemingly with a heavy heart. Both in the radio interview and in the Senate hearings, you always stopped short of bringing the issue of accountability to the President. Reasonable people believe that the President, in assigning his suspended buddy Gen. Purisima, violated the Ombudsman suspension order as well as the PNP chain of command. This violation, which was the basis of the utter lack of coordination among government agencies, proved to be fatal for the SAF. How can you be so blind to this basic conclusion when it is already staring you in the face? You of all people should know this. How can you stand the constant lying of the President; when he said that he would wait for the BOI probe on why you and Gen. Espina weren’t informed, when clearly he already knew WHY you weren’t informed. Aquino after all coordinated only with Purisima throughout the entire planning, preparation and execution of the operation to get Marwan. Aquino already knew of Napenas’ recommendation that Espina and the AFP would only be informed “time on target”, meaning you and the PNP chain of command will be kept out of the loop up to the last minute. How can you accept the lie that the President was only consulting Purisima about the jargon of the operation, when text messages reveal that Purisima was providing updates to the President and that the President in turn was giving instructions to Purisima. Aquino even said in his first televised addressed that he previously discussed the Marwan operations with you, yet in the briefing with Napenas on January 26, you clearly said you had no idea of previous attempts to get Marwan. How can you convince people of your leadership qualities when you meekly accept that you were left out of the loop in Mamasapano; that when you reported to the President, all he texted was “thank you” along with the reminder that you shouldn’t publicly discuss details of the operation? 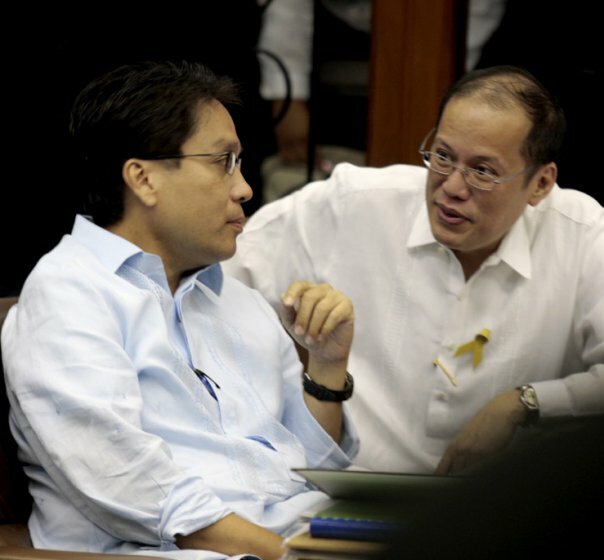 Mar, it is not enough to tell the public that you didn’t know of the operation in Mamasapano. It is not enough to claim ignorance. That does not establish the accountability of those who knew. That does not render justice to those who died. Mar, your current position is untenable and downright pathetic. How long will you go along with the lies? How long will you allow yourself to be treated like a presidential doormat? How do you expect people to respect you as a leader when you allow yourself to be disrespected by the person you claim to serve? 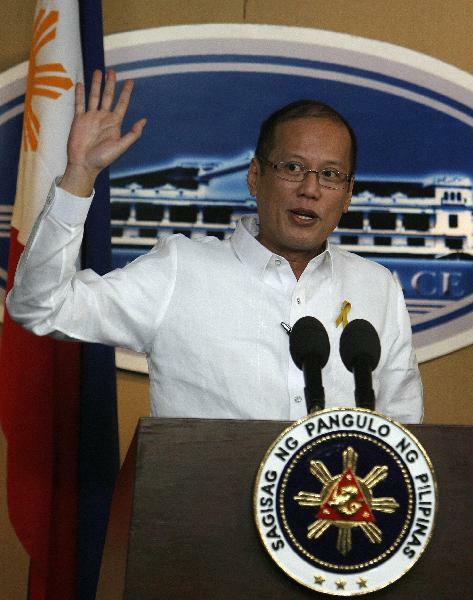 Are you still waiting for Aquino’s endrosement for 2016? Seriously, do you think that would do you any good? But this is not just about you and your personal political ambitions. There is a lot more at stake here. By allowing yourself to be part of the grand cover up, you disrespect the memories of the men who died under your watch. You commit a great disservice to the Filipino people. And you again show us what kind of a leader you are in the face of a crisis. The National Council of the Kabataang Makabayan. Jose Ma. Sison, Charlie del Rosario, Leoncio Co, Ibarra Tubianosa, Arthur Pangilinan. 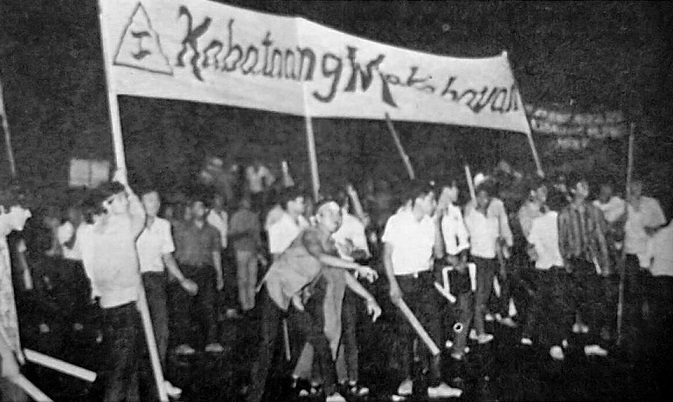 The youth group Kabataang Makabayan was founded in 1964, or four years before the reestablishment of the Communist Party of the Philippines. Its leaders would be instrumental in the reestablishment of the CPP in 1968 and of the New People’s Army in 1969. The KM was a national seeding machine for the Philippine revolution. It helped in the rapid nationwide expansion of the CPP-NPA especially after Marcos declared Martial Law in 1972. The fascist dictatorship forced thousands of KM members to go underground and engage in the nationwide expansion of the revolutionary movement. During the 60’s, the KM trained and developed intellectuals and national leaders such as founding chair Jose Ma. Sison, Monico Atienza, Satur Ocampo, Julius Fortuna, Bal Pinguel and many others. The KM would be at the forefront of the First Quarter Storm of 1970 and the Diliman Commune of 1971. The KM was founded on November 30, 1964, on the 101st birthday of Andres Bonifacio. The group was inspired by the Katipunan and the democratic revolution against Spanish colonialism. The group advances what is known as the new-democratic revolution against imperialism, feudalism and bureaucrat capitalism. The official symbol on the KM is the alibata for letter K, also adopted from the Katipunan. Nationalist stalwart Senator Lorenzo M. Tanada delivered the keynote address to the founding congress of KM in 1964. He suggested that KM have a publication called Kalayaan, named after the publication of the Katipunan edited by Emilio Jacinto. The publication remains to this day and can be found online. There were 80 charter members when the KM started in 1964. They came from the ranks of students, workers, professionals and peasant groups. Many of the names found on the Wall of Remembrance at the Bantayog ng mga Bayani are members of KM who were martyred during the Marcos dictatorship. They include Charlie del Rosario, Merardo Arce, Armando Mendoza, Romulo Jallores, Nimfa del Rosario, and many others. Well-known CPP spokesman, the late Gregorio “Ka Roger” Rosal, was a member of the Kabataang Makabayan from the ranks of the peasantry. KM inspired the founding of another comprehensive youth organization called Anakbayan, which was also established on November 30, 1998. Anakbayan vowed to continue the work of Kabataang Makabayan in the legal democratic movement. Anakbayan works to arouse, organize and mobilize the Filipino youth for the national democratic struggle. Fifty years after its founding, the KM remains an active underground revolutionary organization and is a founding member of the National Democratic Front of the Philippines. It is the oldest of the national democratic mass organizations that still exist today. Its founding chair Prof. Sison remains active as the leader of the International League of Peoples Struggle and chief political consultant of the NDFP in the peace talks. He continues to take an active role in the Filipino people’s struggle for national and social liberation. The Philippine negotiators of the Enhanced Defense Cooperation Agreement are working overtime to spread lies and misinformation about the recently signed military agreement. They want to make it appear that we are not on the losing end and in fact have everything to gain from the agreement. It is important that we debunk these arguments and expose the EDCA for the one-sided pact that it is. The Myth that EDCA is mutually beneficial – The EDCA has been described as mutually beneficial for the US and PH. It is portrayed as something we need to modernize our backward AFP. In fact, because of the supposed mutual benefits from the EDCA, the PH government has decided that we should let the US troops use of facilities for free and our utilities tax-free. What does the US stand to gain? A lot. The US gains free access to PH lands and waters, existing AFP camps and other facilities, for the stationing and rotational deployment of troops, giving the US a platform for power projection in the region, as well as a launching pad for possible military intervention. And they get this at the cheapest possible price. The Philippines on the other hand is supposed to benefit from this pact through the modernization of the AFP. However, nowhere in the EDCA does it state how the AFP will modernize through the frequent war games, the storage or prepositioning of weapons and other forms of interaction with US troops. The agreement does not say how the AFP will acquire X amount of weapons, ammunition, vehicles, vessels and technology as benefits for the use of our facilities. In fact, all relocatable or movable items owned by the US forces will be brought back to the US, leaving us with only empty buildings. Prepositioned materials which include weapons shall be for the exclusive use of US forces and can be moved out of the country anytime. Finally, if indeed US military presence will lead to modernization, we should have accomplished this a long time ago when we had US bases for 44 years and the VFA for 15 years now. The Myth that we are in control – Philippine negotiators say that the EDCA is different from the RP-US Bases Agreement because we are in control. 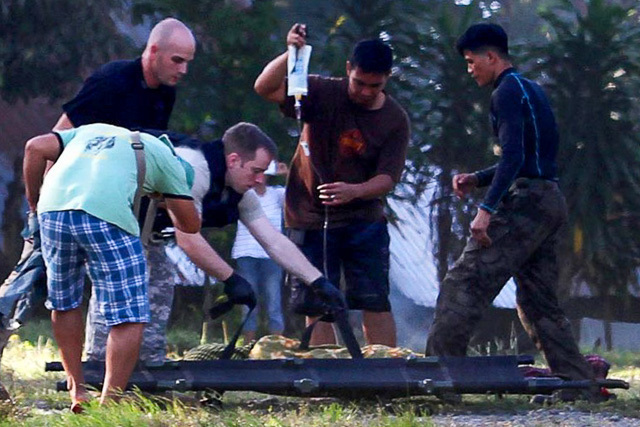 US troops are here upon the consent of the PH government. The Philippines retains ownership of the facilities and the Philippine base commander or the designated representative has access to the US facilities. 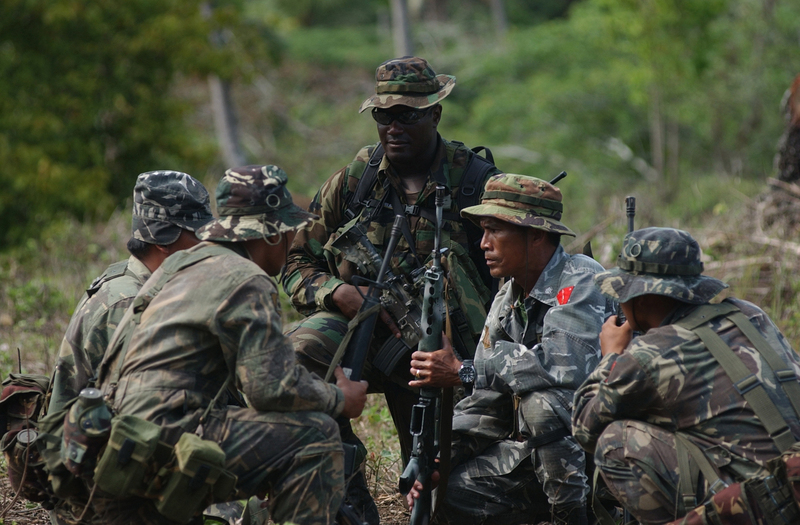 The Philippines also retains primary responsibility for security. All these look good on paper. The reality however is that the US will retain operational control of the “agreed locations” and shall “exercise all rights and authorities” to ensure their operational control. This includes putting in place security measures that would necessarily limit access to their facilities. Philippine access will have to comply with the “safety and security requirements” that will be imposed by the US. There lies one of the great ironies under the EDCA. We entered an agreement that allows the US unlimited access to our facilities while limiting our access to theirs. A historical footnote: In 1979, when the RP-US Military Bases Agreement was reviewed, the US bases were placed under the formal control of the Philippines, and were considered US bases within Philippine facilities. They were even placed under a Filipino base commander. The Philippine flag also flew in these bases and the Philippine government was to provide security along the bases’ perimeter. None of these acts diminished the fact that the bases still violated our sovereignty. Lastly, the idea that US troops are here upon our consent and invitation is just a fee-good provision that does little to mitigate the one-sidedness of this pact. The Myth that EDCA is a deterrent against China – This myth is related to the first myth of mutual benefits. The argument is that the EDCA will help us modernize our AFP thus enabling us to stand up to China’s incursions. Since the EDCA will not help our AFP modernize, we are left with the next best thing; that is for the US to come to our defense if attacked by China. However, nowhere in the EDCA does it say that the US will come to our aid if attacked by China. Neither does this assurance appear in other agreements like the Visiting Forces Agreement and the Mutual Defense Treaty. In fact, when US President Barack Obama was asked the same question during his Manila trip, he did not give any categorical answer nor firm commitment. The Myth that EDCA does not require Senate ratification – PH negotiators say that the EDCA is not a basing treaty therefore does not require Senate ratification. It is merely an implementation of existing treaties like the MDT. Sec. 25 of Art. XVIII of the PH Constitution states that “foreign military bases, troops, or facilities shall not be allowed in the Philippines except under a treaty duly concurred in by the Senate… and recognized as a treaty by the other contracting State.” So long as it involves foreign troops or facilities (even for the sake of argument they are not bases), the agreement must go through the Senate. EDCA deals with the activities of foreign troops including their right to put up their own facilities in the so-called agreed locations. To be valid under our Constitution, EDCA should have been ratified by the Philippine Senate and recognized as a treaty by the US Senate. So why didn’t they just do that? The Executive was rushing the signing of the secretly negotiated agreement in time for the Obama visit. Bringing it to the Senate would mean a long, tedious process of public hearings and debates. Also, the Executive wants the agreement so badly it was not sure if it wanted to take the risk of subjecting the EDCA to the 2/3 Senate vote requirement stated in the Constitution. The Myth that these are not bases – Related to No.4, PH officials say the EDCA does not deal with bases and thus does not require Senate concurrence. First point we should consider is how the US will operate these “agreed locations”. Article III, Sec. 1 of the EDCA grants US force and private contractors access to “agreed locations” where they can conduct a broad range of activities including but not limited to; training, support, refueling of aircraft, bunkering of vehicles, temporary maintenance of vehicles, temporary accommodation of personnel, communications, prepositioning of equipment, supplies and materiel, and even deploying forces and materiel. Those are the operations of a base. But these are different from the old bases in Clark and Subic, they say. The US military pivot now calls for flexible basing opportunities that are not necessarily in the mold of formal bases like Clark and Subic. Second point we should consider is permanence. An indefinite number of US forces will be rotated in the country, meaning, at any given time, there will always be US troops stationed on our soil. The prototype of this is the US Joint Special Operations Task Force Philippines, 600 US Special Forces who have been based in Zamboanga since 2002 supposedly providing counter-terrorism training to PH troops. Third, US forces will be allowed to put up permanent structures, which imply that the presence of US forces will be for the long haul. Fourth, the agreement itself enables the permanent presence of US forces because the EDCA is in effect indefinitely, beyond the so-called 10 year term. Yes, the EDCA will remain “automatically” in effect even after 10 years, unless it is terminated by one of the parties. We need to expose and shatter the myths being propagated by the Aquino government regarding the EDCA. 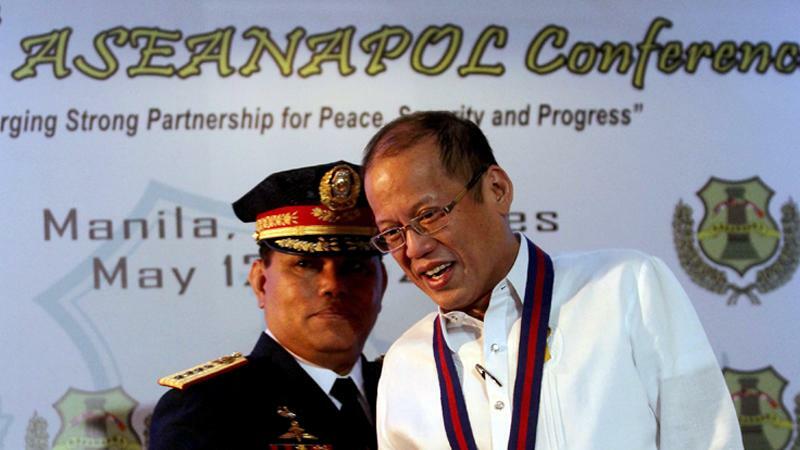 The Aquino regime did something worse than the sell-out of our sovereignty. It gave it away for free. It betrayed the Filipino people. None of us were consulted. None of us even saw the contents of the pact before it was signed.